Mixed Feelings PodcastMFP Episode 40 - Game Time! 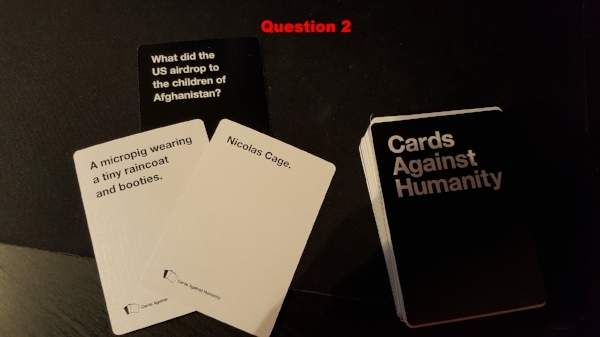 Cards Against Humanity! Here’s the freebie bonus episode this month! Remember, only the 1st Milk and Cookies of the month is free as of November 2016, and the rest are exclusive to those who sign up for the subscription. Only $3/month, details here! Game Time! 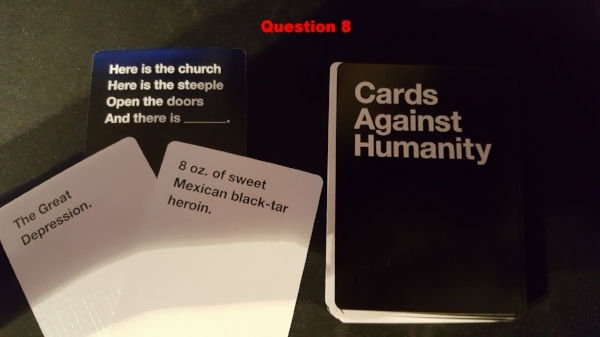 Cards Against Humanity! 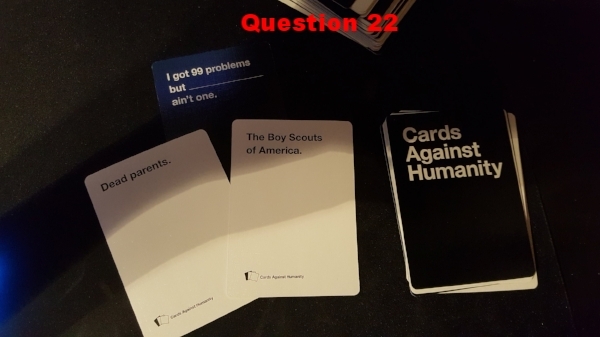 So basically what we did was play the game and make twitter polls for each question so that YOU, the listener, can act as Card Czar! We'll keep the poll open a few days and announce the winner on the next episode! 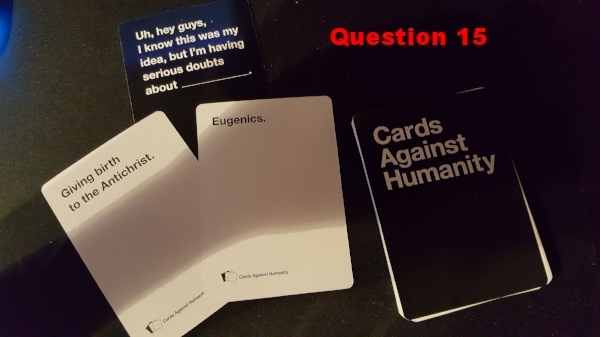 Each picture in the gallery below is a link to the Twitter poll for each question in the correct order, so you can just vote from here as you listen to make it easier :) There isn't a lot of room for text in the Twitter polls, but Cassi's answers will be first, and Mandy's second. Audible is offering Mixed Feelings Podcast listeners a free 30 day trial AND a free audiobook download! Check it out! Want some shirts that will make all of your friends so jealous that they slowly go insane? Well, your search is over! 10% off your purchase with our promo code below! Hurry! Your life is incomplete without Lisa Frank leggings and bacon footie pajamas! MFP Episode 40 - Game Time! 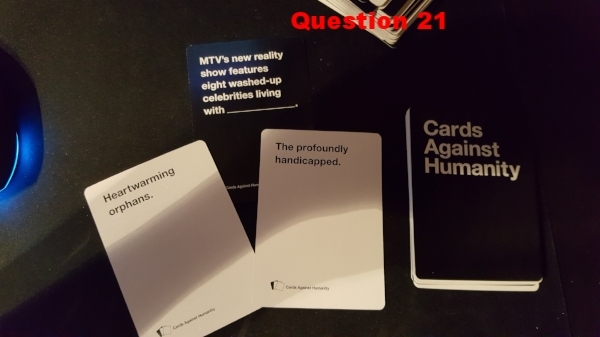 Cards Against Humanity! by Mixed Feelings Podcast is licensed under a Creative Commons Attribution 4.0 International License. MFP 40 - Milk and Cookies Bonus Episode by Mixed Feelings Podcast is licensed under a Creative Commons Attribution 4.0 International License.